In today’s interview I get to speak with CEO and Founder of Ample Foods, Connor Young, about the Ample meal replacement drinks which contains some of the highest quality nutritional ingredients available. Connor is very passionate about nutrition and ensuring we are prioritizing health even when our busy lifestyles can make finding the time to do so difficult. In today’s interview we get a chance to talk about the standard practices in the food industry and some of the challenges food companies face when sourcing their ingredients. If you know someone who has a busy lifestyle and wants to make sure they are getting optimal nutrition even whilst they are on the go, or anyone who is interested in learning more about how the food industry works, this interview is for them. I enjoyed this interview and learned a lot about consumer demand, food ingredients, the processes of turning fat into powdered form and how food companies operate. After talking to Connor, I have a better understanding of why certain companies make the choices that often go against good nutritional advice we are given. I have also picked Ample K as one of the best low carb meal replacement shakes to buy. Special discount code offer on any Ample product. Go to the Ample website here and enter the coupon code “BIOHACKER15”, without the quotation marks, and you will get the discounted price off the RRP price at checkout. Special thanks to Connor for joining me on the show. Enjoy the episode! [00:00] – To get a discount on any Ample product go to the official Ample website and enter the coupon code BIOHACKER15 at checkout. 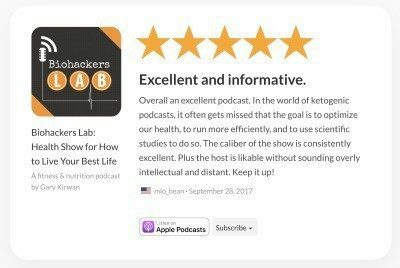 What’s more, for the month of April 2018 listeners based in the US can win a 30-day supply of Ample by going to the Connor Young episode page on Biohackers Lab and leaving a comment. Get your friend to leave a comment too (and have them mention you) and you both can win the 30-day supply! 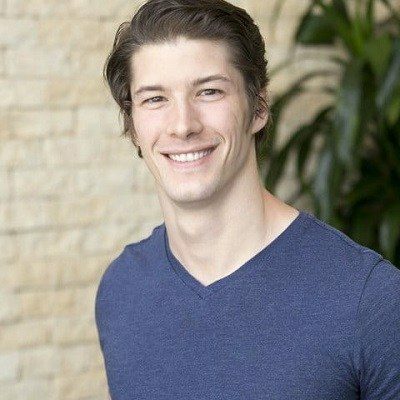 [01:12] – Introducing Connor Young: CEO and founder of Ample Foods, a company that makes meal replacements such as the Ample K ketogenic meal replacement. In addition, he has a degree in biology, has run a CrossFit gym, been a medical device sales-rep and been involved in a physical therapy start-up company. [02:15] – How did Connor get into meal replacements. He has always been interested in the business of health and proactive health care. Having read hundreds of articles on nutrition, people approached him for advice on the best ways to get nutritionally rich fuel during those times when they are time-poor and are unable to prepare whole foods from scratch. A lot of food companies offer marketing without substance and there was a need for packaged food that is healthy, tastes good and offers good quality ingredients in addition to providing fuel. [09:37] – What are some of the food industry standards and practices that go into making meal replacements? Connor explains why he has more empathy for food companies now. There are certain pressures of demand and consumers choosing products that taste good. Ingredient sourcing can also often be challenging when trying to make a higher quality product. If the ingredient doesn’t exist, companies can’t put it into the product and many of the available choices – especially in terms of available lipids – still aren’t good. HVMAN (listen to interview with Geoffrey Woo from HVMN here) and Natural Stacks (listen to interview with Roy Krebs from Natural Stacks here) are making open-source ingredient information available in order to educate people about how sourcing works. [14:25] – Most supplements companies (and other big companies) are choosing to be a brand and let someone else source their ingredients. This means they focus on marketing and aren’t involved in the supply chain. By sourcing your own ingredients, you can create a product that stands apart. [17:21] – Ample products stand apart due to the higher quality of ingredients; they endeavour to make the best meal replacement products possible for situations when having whole food meals – which are always preferable – just isn’t feasible. [23:42] – Ample doesn’t use any GMO or corn in their products. There is also no hidden MSG labelled under a different name lurking in their meal replacements. [24:58] – What sweeteners are used in Ample meal replacements? There is honey, stevia extract and monk fruit. Stevia and monk fruit can sometimes have an unusual aftertaste. Using a smaller amount and using them in combination with the honey, however, creates a very pleasant result, balances out the flavors and brings the net carbs down, too. [27:36] – When Gary did his review of Ample K he had just come off a very strict carnivore diet experiment where he ate an all meat diet like Dr Shawn Baker and Amber O’ Hearn, (see his results and experience on YouTube here) and he found the drink almost a good substitute for when you are craving something sweet. People’s taste bud palate changes when they go keto and this is an interesting aspect to explore; how do people on different types of diets prefer the supplement to taste? Does it make sense to make multiple flavours for different tastes? [32:23] – The regular Ample, Vegan Ample and Ample K, are the three options currently available and they’re all designed to fuel different lifestyles and dietary needs. Because every individual will have different dietary preferences the company will farther expand this offering in the future. [35:08] – The protein used is grass-fed whey and pea protein. Why use pea protein? Connor explains how PDCAAS rating (a.k.a protein digestibility-corrected amino acid score) uses a scoring system – where 1 is the highest score – to evaluate the quality of protein. Examples of complete sources of protein scoring 1 are egg, soy and whey proteins. Pea protein scores less and is incomplete protein, however, it is added to Ample products because it provides a thicker texture and thus a feeling of fullness. [38:09] – The food scientists in the Ample team have an added challenge of making something healthy in addition to having it just taste good which is an exciting challenge. [39:34] – All Ample products have protein, fat, carbs (in Ample K very low carbs), probiotics, prebiotics and greens in a 400 or 600 calorie meal that comes in powder form inside a single serve bottle. Connor recommends flipping it over and tapping it to loosen the powder, then just add water, shake and drink. More great tips: Ample original tastes fantastic with almond milk (coconut is good too), Ample K tastes good with water and some people also enjoy mixing it with their cold brew coffee. After listening to this podcast, I ordered 12 bottles to try. Just received my first shipment of Ample and couldn’t wait to try one. It is delicious! Tomorrow I’ll try making it with ice in the blender for an even thicker shake. I’ve tried Ample K and absolutely LOVE it. It’s nice to have a keto friendly meal replacement option that’s made of whole foods and low in sugar! I should get my order Thursday! I’m super excited!! I’ve never had ample before but a lot of the ingredients are already staples in my diet (sweet potatoes, coconut oil, bananas, barley, wheatgrass, chia seeds, cocoa). I can tell this guy really knows what he’s doing as far as nutrition. Seems the most ideal source of carbs, fat, and protein. Ample is delicious, love this stuff!! Keto Ample is the tastiest and the best! Looking forward to trying this product! I really like this product! I’m on my second order now. It’s a great meal replacement. I love the way it’s balanced (fats/carbs/protein) with quality ingredients. I also like the “earthy” taste with just the right amount of sweetness. I’m someone who eats constantly and was concerned that a liquid meal wouldn’t work for me. But I can have an AmpleV for breakfast and most of the time make it all the way until dinner. It’s also super for day-long errands or flights. Great job, Conner! ?? Just ordered and I can’t wait to try!! I am so interested in this product. Great podcast!! Going to try this, i think. I’ve been wanting to try this since I heard Mark Divine talk about it. Sounds like amazing stuff!